Pressure cook the chick peas adding little salt and 1/2 cup water for 3-4 whistles. Remove from the heat and keep aside. Heat oil in a pan or kadhai and temper mustard seeds. Add fennel seeds, cumin seeds, cloves and cinnamon stick. Saute a while and add chopped onions. Add ginger-garlic paste and onion-tomato paste. Fry for 2 mins. Add turmeric powder, chilli powder, coriander powder, paav bhajji masala and dried mango powder. Add cooked chick peas along with water. Mix well and add salt to taste & asofoetida. Cook it covered for 10 mins. Add paneer cubes and cook for another 5 mins. 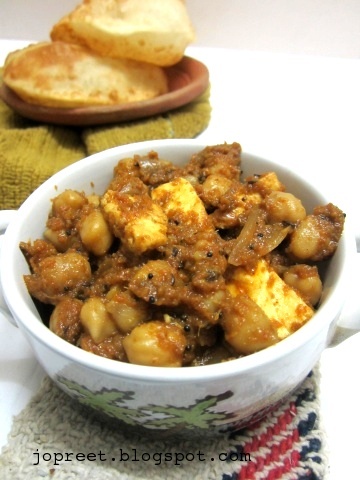 Remove from the heat and serve hot with bhatura. Sieve maida, baking powder and salt. Combine all the above ingredients and form a smooth dough by applying oil over your palm. Cover the dough vessel with moist cloth and keep aside for 2 hours. Prepare small lemon sized balls. If the dough is sticky, apply flour over it and form balls. Form a disc shape by constantly applying flour. Heat oil in a kadhai and fry the bhatura till it turns light brown. Fry the remaining bhaturas. 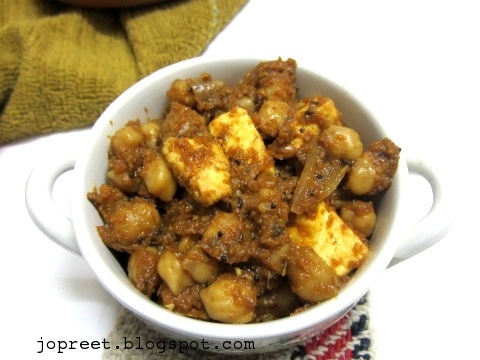 Serve with paneer chole masala. Ur baturas look perfect. Mine go spongy some how. I've tried all sorts of combinations before. Let me try urs now. Thansk for sharing dear. Good clicks too. Delicious and yummy looking dish. Excellent combo. Am inviting myself to ur place, irresistible dishes together. 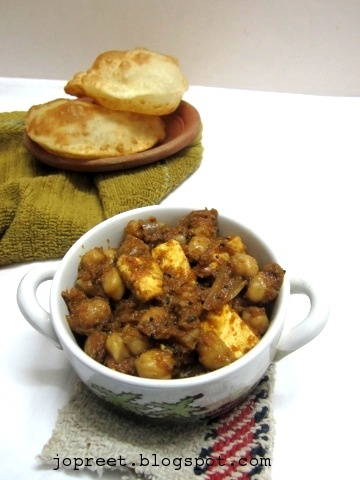 Lovely combo…Nice addition of paneer…Looks perfect…Yummy looking bhatura too..